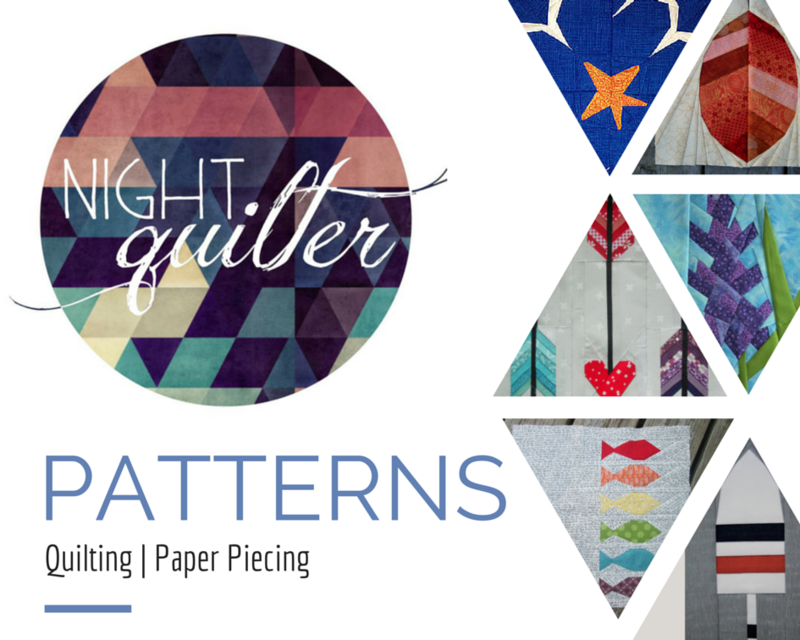 This post was written a few nights ago, before The Night Quilter blog was live. Don’t get me wrong: I love graph paper! There’s something about sketching out a design and working through the logistics of turning it into a paper piecing pattern with nothing but your squared notebook, a pencil (and eraser! ), a ruler, and your swirling mind. 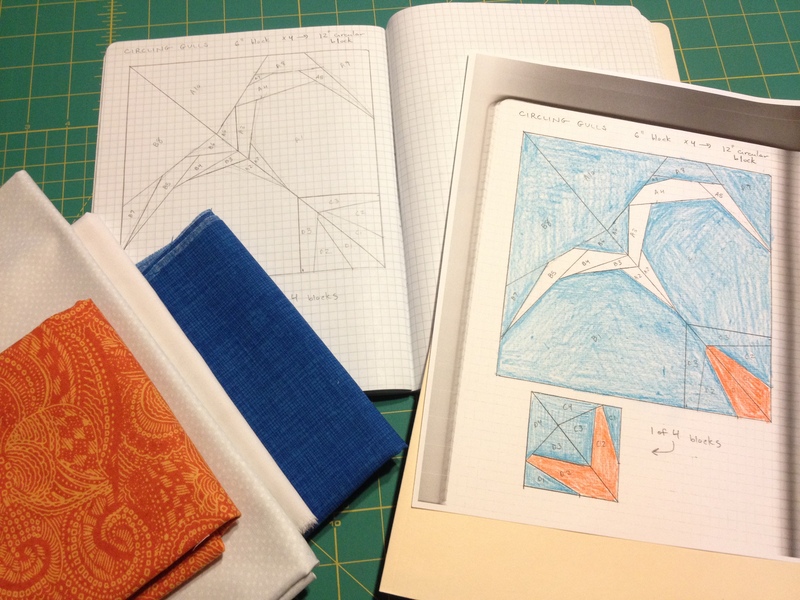 However, turning that creation into a share-able, let alone potentially sell-able, pattern using the old school graph paper method is less than ideal. It works! But it’s a LOT of work! While I type this post, inkscape is downloading onto my computer. Inkscape is a free vector graphics editor that will hopefully allow me to get started in learning computer-based paper piecing designing. At the very least, with a cost of FREE, it won’t break the bank. Woot woot! Hopefully learning to use it will be easier than my old school method: draw, refine (read: erase, redraw, repeat), photo copy, cut, tape to plain paper, draw 1/4 seam allowances, photo copy, arrange, create word document with necessary text, attempt to format around anticipated paper piecing pattern drawing, print, cut and paste pattern onto word printout, photocopy again, approve? Scan and convert to pdf. Talk about noise! All of those photocopies of a photocopy of graph paper ends up with quite a fuzzy pattern. Functional, yes. Aesthetically crisp, no.